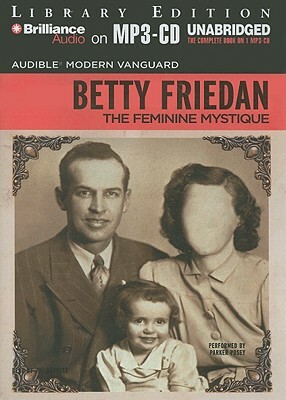 Landmark, groundbreaking, classic these adjectives barely describe the earthshaking and long-lasting effects of Betty Friedan's The Feminine Mystique. This is the book that defined "the problem that has no name," that launched the Second Wave of the feminist movement, and has been awakening women and men with its insights into social relations, which still remain fresh, ever since. A new introduction by the bestselling author Anna Quindlen traces the book in her own story and how it was prescient on consumer culture as well as domestic issues. Betty Friedan has been and remains a bridge between conservative and radical elements in feminism, an ardent advocate of harmony and human values. Marilyn French, Esquire One of those rare books we are endowed with only once in several decades, a volume that launched a major social movement Betty Friedan is a liberator of women and men." Amitai Etzioni, author of The Spirit of Community: The Reinvention of American Society.